I am planning a little Mexican Fiesta in a few weeks. Every time I get a new Rick Bayless cookbook I veer straight off to Mexico. If you don't know him, he is arguably the best Mexican chef on the planet. His food is amazing and truly shows how wonderful Mexican food can be. Remove any thoughts of Tex Mex. Or if you are in Auckland, it is nothing like the Mexican Cafe, not that the Mexican Cafe isn't great. This is just different. It is more Mexican Specialities, an amazing little Mexican place, in Ellerslie, that is well worth a visit. It is a little restaurant open for lunch Thursday through Saturday and serves the most tasty, delicious Mexican food I have ever come across. And if you are wanting to cook up a Mexican Fiesta a la Rick Bayless they stock a huge array of Mexican ingredients. If you are ever in Chicago he has 3 restaurants, Frontera Bar & Grill, Topolobompa and Frontera Fresco. They would most definitely feature on my top ten list of restaurants I so desperately want to visit. I read about the Chocolate Pecan Bars and thought they would be perfect for dessert. Not considering myself so much of a baker I thought I would give these a trial run. If they weren't good certainly not the fault of the recipe as they have been the signature dessert at Frontera Bar & Grill for over 2 decades! Rather than a flaky or standard biscuit crust these have a sweet and salty pretzel crumb crust. It turned out rather delicious, especially where the batter hadn't gone all through the crumb! 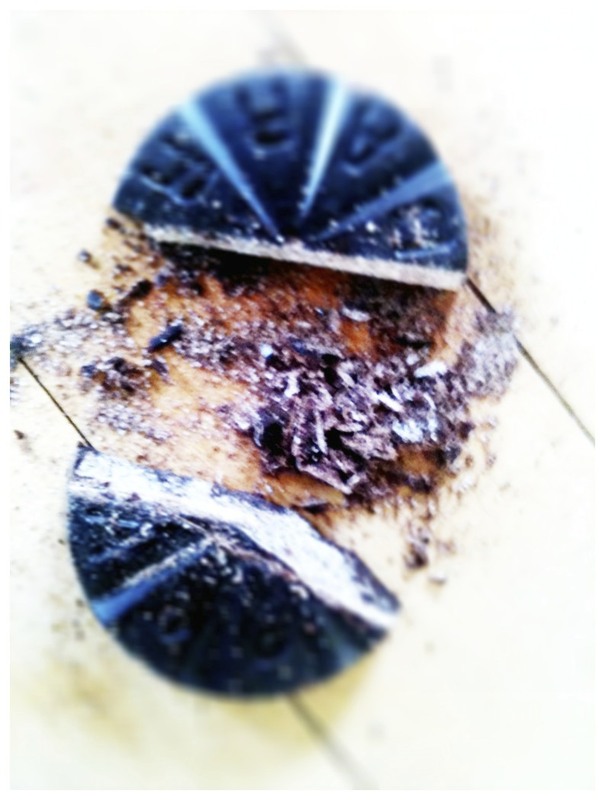 Next time I will go for a slightly thicker crust as it really works with the, very rich (that Whittaker's Dark Ghana Chocolate will do it every time), pecan, chocolaty, treacly pie - love the salt with the sweet. It also stays just almost gooey in the middle...a decadent dessert if ever there was one. 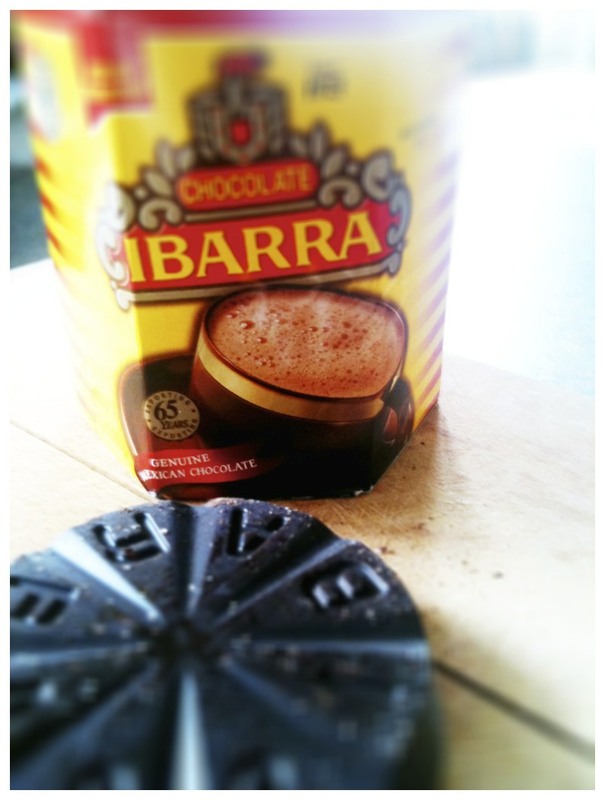 If you want to try this one out I would also recommend using the Mexican Chocolate as quite different in taste and texture. It has a hit of cinnamon and quite a sweetness. You can get it at Mexican Specialities or they do online orders too if you are not in Auckland. As this was for a full on fiesta it would make a lot. I did half which delivered one full tray of these decadent little morsels. So here courtesy of the wonderful Rick Bayless and Fiesta at Rick's I bring you Frontera Grill's Chocolate Pecan Pie Bars. 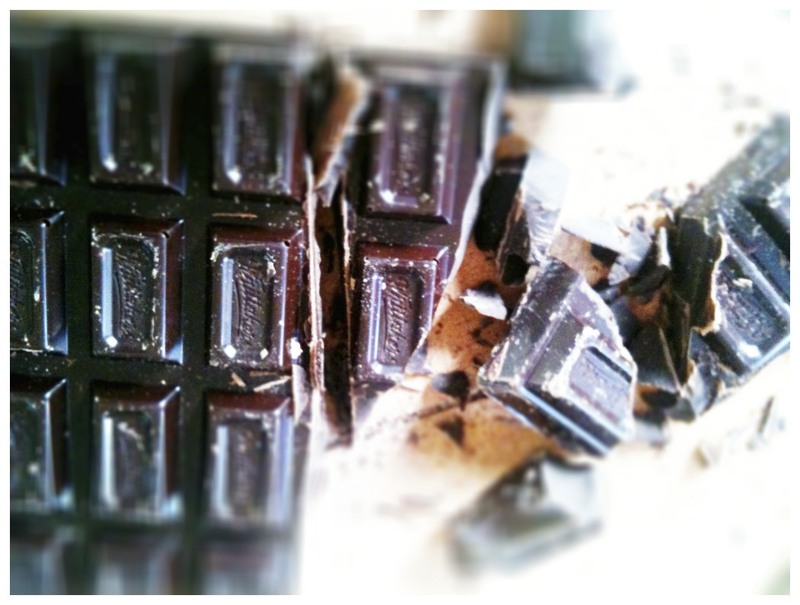 8 oz semi sweet or bitter sweet chocolate, chopped in to pieces not larger than 1/4 inch. 3/4 cup (about 4.5 oz) finely chopped Mexican chocolate, such as Ibarra. 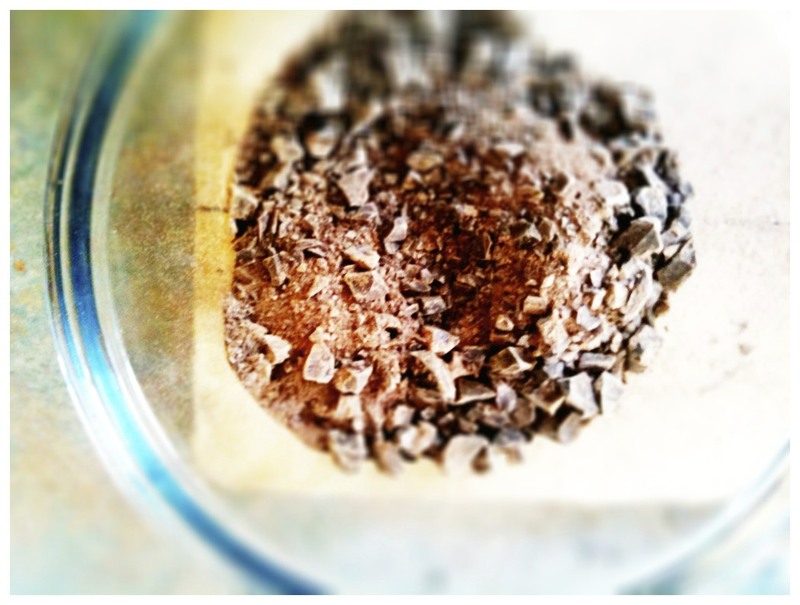 Or regular chocolate and a pinch of cinnamon. Toast the pecans and prepare the crumb crust. 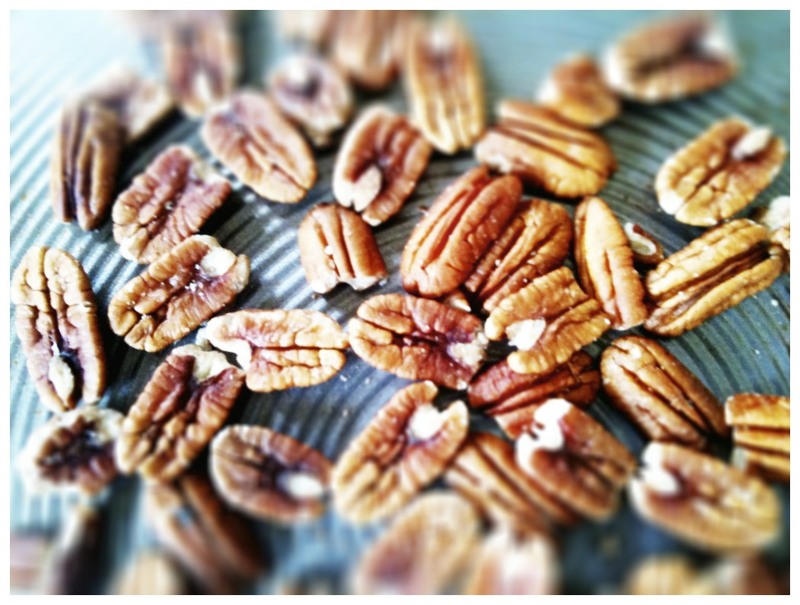 In a 325°F or 170 °C oven toast the pecans on a rimmed baking sheet until noticeably darker, about 10 minutes. 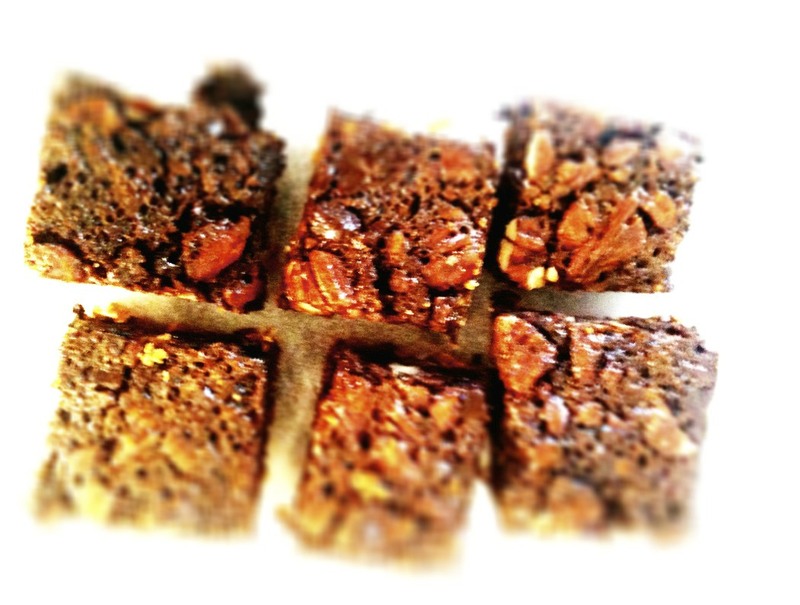 Let the pecans cool to lukewarm (but keep the oven heated), then coarsely chop them - 1/4 - 1/2 inch pieces make a luxurious looking bars. Scrape in to a large bowl. 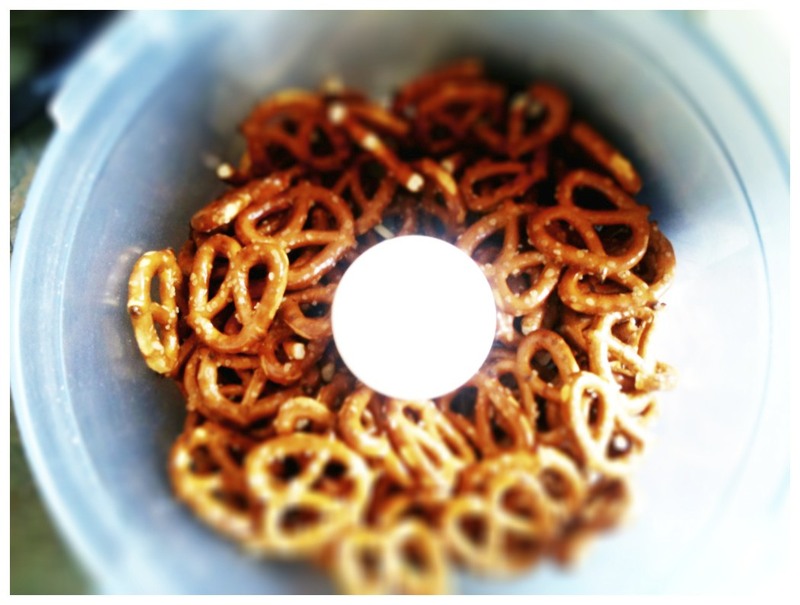 Use a food processor to chop the pretzels in to fairly fine crumbs. (You should have 2 cups of crumbs). In a small saucepan over a medium heat melt 2 sticks / half of the butter. 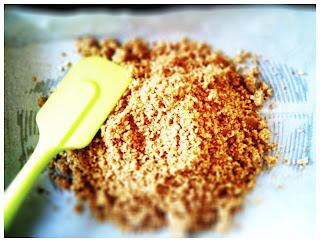 Scrape in to the food processor, along with the 1/2 cup of granulated sugar. Pulse until everything is combined. Butter the bottoms and sides of 2 8x8 inch backing pans. Cut a piece of parchment to fit the bottom of each pan, then press firmly in place. Butter the parchment paper. 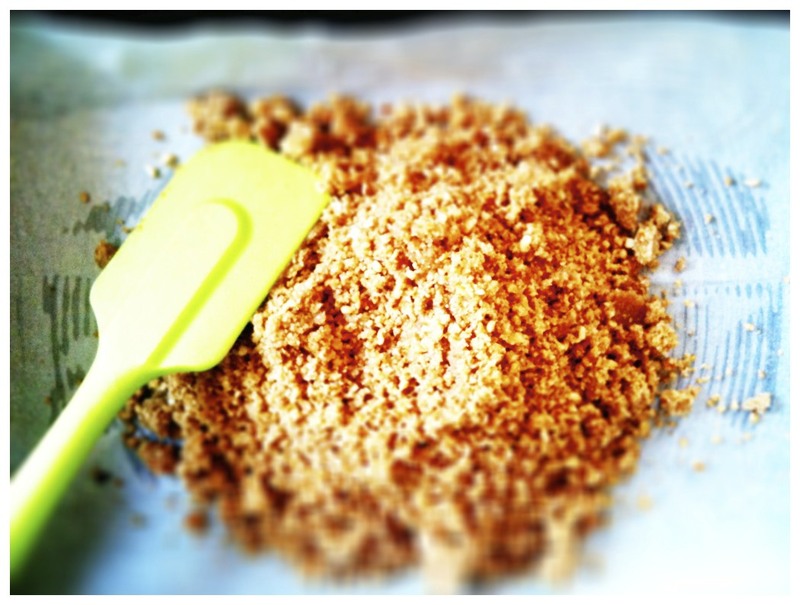 Divide the crumb mixture between the 2 pans and pat in to an even layer, covering the bottom completely. Make the filling. 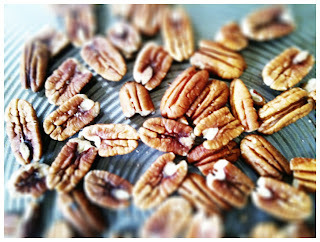 To the pecans add the 2 chocolates and the flour. 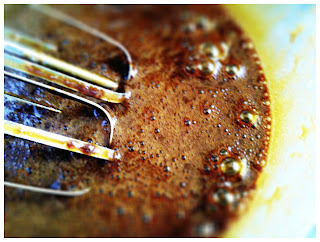 Stir to combine, then divide evenly between the 2 pans. Melt the remaining butter. 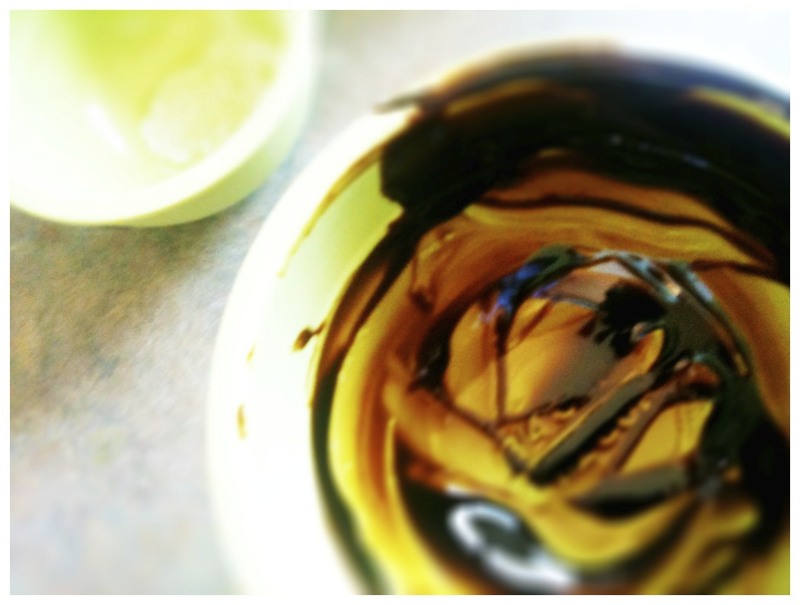 In the bowl of an electric mixer, combine the eggs, brown sugar, corn syrup or corn syrup mixture ( I used molasses and golden syrup - 2-1. Next time I think more 1-1) and vanilla extract. Beat at a medium low speed. Slowly add the melted butter, mixing until the batter looks smooth. Divide the batter between the 2 pans, pouring it slowly and evenly over the surface to ensure an even distribution of chocolate and pecans through the batter. Bake cool and serve the bars. Slide the pans in to the over and bake for 45 - 55 minutes, until the centre is almost firm. Let it cool to room temperature. Cover and refrigerate until firm for easy cutting. This is the hard bit as you just want to taste! Use a small knife to loosen the edges then turn out. Cut in to 2 inch squares. Keep them in the fridge until ready to serve. Transfer to a serving platter and dust with the icing sugar. Enjoy - we all deserve a little decadence!